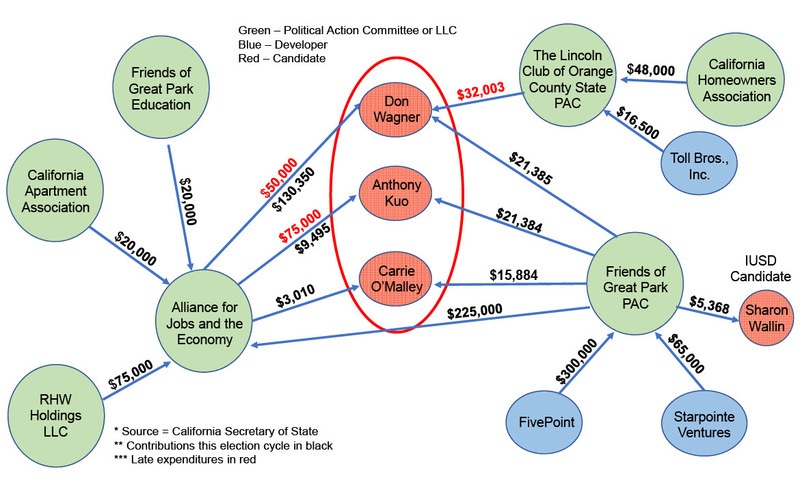 When it comes to donations, Mayor Wagner’s slate with Anthony Kuo and Carrie O’Malley has no competition. For those who haven’t seen the post Mayoral Campaign Thoughts, almost $800,000 is being funneled through political action committees (PACs) to support Mayor Wagner’s slate. To provide perspective, the average non-developer backed city council candidate actively campaigns in hopes to receive $100,000. $9,495 for having his signs posted around our city. $9,495 for sign printing and assembly. $3,010 for having her signs posted around our city. $3,010 for sign printing and assembly. $130,350 for cable advertising from 9/24-11/6. What do they represent? Big money interests. What do these big money interests want? Easy approval of their projects regardless of their impact on our roads, our schools, our quality of life. If you want a city council that will look out for our interests and help our city grow more responsibly, more sustainably, look to the candidates who have vowed to place us first by only accept money from Irvine residents: Kev Abazajian, David Chey, Farrah Khan, Frank McGill, Mark Newgent, John Park, Lee Sun, Jaci Woods. Get to know where these candidates stand on these the issues that matter most to you here. Say NO to big money! *Updated with October 10, 2018 filing of California Form 496 for The Lincoln Club of Orange County State PAC, for Don Wagner. ** Updated with October 17, 2018 filing of California Form 496 for the Alliance for Jobs and the Economy PAC, for Anthony Kuo.